Let's restore this historic Walled Garden to its former splendour. Brought to you by the Nantwich Walled Garden Society. FIONA displayed the skep in Nantwich Museum as part of a mini display during the Nantwich Food and Drink festival weekend in September 2014. She also showed the bee smoker (above). 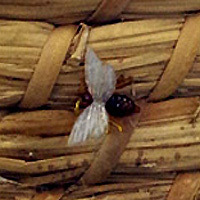 She explained that smoke was introduced to a hive when the beekeeper wanted to remove the bees to reach the honey. It was not to make them drowsy but made them think the hive was on fire, inducing them to open the honeycombs to get the honey to safety. South Cheshire Beekeepers Association – one of five branches of . . . Thanks to Fiona Swain for her help with this article. 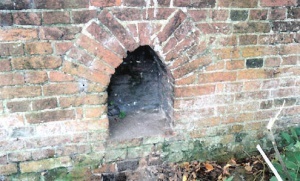 More about the bee boles can be found in the garden plan issued by the Nantwich Walled Garden Society. These two illustrations are taken from one page in our plan for the restoration of the walled garden, available by clicking on this link (garden plan link to be inserted). Diagram 1 – the dimensions of a bee bole. 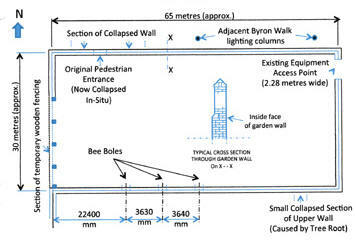 Diagram 2 – the location of the bee boles in the south wall of the garden.